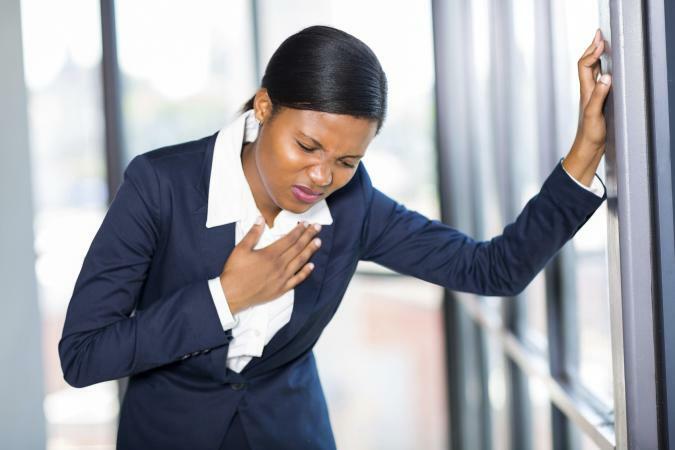 If you're experiencing shortness of breath on a regular basis, you're probably wondering what's causing this unpleasant -- and potentially dangerous -- side effect. You might be surprised to find out that your diet and being deficient in certain vitamins may be the culprit. Being deficient in certain nutrients can lead to anemia, a condition that occurs when your body isn't able to make enough healthy red blood cells. Because red blood cells are needed to supply oxygen sufficiently to tissues within your body, having a low red blood cell count due to nutrient deficiencies can result in shortness of breath. Getting too little of the following nutrients can cause anemia and shortness of breath associated with it. Consuming too little iron in your diet can lead to iron-deficiency anemia, which causes shortness of breath - especially as anemia develops from mild to moderate or more severe. Mayo Clinic reports people at risk for iron-deficiency anemia (and shortness of breath) include women (especially pregnant women), infants, children, vegetarians, frequent blood donors, people who've lost large amounts of blood, those who eat too little dietary iron, and people with malabsorption due to intestinal resection or disorders like Celiac disease. To treat iron deficiency anemia, boost dietary iron intake by eating iron-rich foods and taking an iron-containing multivitamin supplement. Your doctor may recommend an additional iron supplement or iron injections until the anemia subsides. Iron recommended dietary allowances (RDAs) are 8 milligrams daily for men and women over age 50, 18 milligrams for women under age 50, 27 milligrams during pregnancy, and 9 milligrams per day for breastfeeding women. Examples of iron-rich foods include iron-fortified breakfast cereals, meats, legumes, tofu, seafood, spinach, and dark chocolate. Failing to meet daily vitamin B12 requirements can also result in anemia-related shortness of breath, according to MedlinePlus. Causes of B12 deficiency include poor nutrition, vegan dieting, and malabsorption due to intestinal resection, abnormal abdominal bacterial growth, tapeworm, intestinal diseases like Crohn's or celiac disease, and lack of intrinsic factor (needed by the body to absorb vitamin B12 properly). Treatment of B12 deficiency anemia, which helps eliminate shortness of breath as a side effect, includes eating B12-rich foods, taking high doses of B12 supplements, or receiving vitamin B12 injections, depending on what your doctor prescribes. Regular monitoring of vitamin B12 levels is also a good idea. B12 RDAs are 2.4 micrograms daily for adults, 2.6 micrograms during pregnancy, and 2.8 micrograms per day for breastfeeding women. Foods rich in vitamin B12 include B12-fortified breakfast cereals, dairy foods, eggs, meats, and seafood. Folate is another nutrient crucial for red blood cell formation and is a must when you want to avoid shortness of breath. Groups at risk for developing folate deficiency anemia include people with poor dietary habits, people who've had intestinal resections, heavy drinkers, people with celiac disease, pregnant and breastfeeding women, and people with kidney disease undergoing hemodialysis. Certain medications can interfere with folate absorption, as well. Treatment of folate deficiency anemia includes eating plenty of folate-rich foods, taking folate supplements, or receiving folate injections; it depends on what your doctor recommends and how severe your deficiency is. Folate RDAs are 400 micrograms daily for adults, 600 micrograms for pregnant women, and 500 micrograms per day for breastfeeding women. Folate-rich foods include folate-fortified breakfast cereals, legumes, vegetables, and enriched grains like rice and pasta. Vitamin C deficiency can also lead to anemia, according to a 2015 issue of Podiatry Today and Mayo Clinic. Because vitamin C enhances iron absorption, being deficient in this vitamin may also increase your risk for iron-deficiency anemia and the shortness of breath associated with it. The Office of Dietary Supplements notes groups at risk for vitamin C inadequacy include smokers, people with nutrient malabsorption, infants fed evaporated or boiled cow's milk, and people who consume few fruits and vegetables. 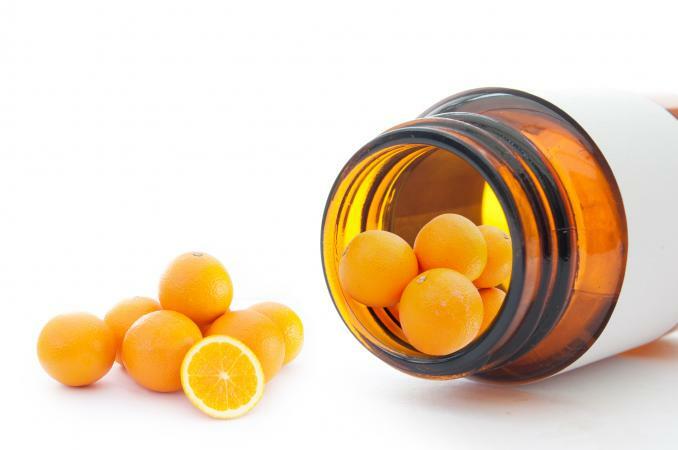 Treatment of vitamin C deficiency includes boosting your intake of vitamin C-rich foods and taking vitamin C supplements. Vitamin C RDAs are 75 milligrams for women, 90 milligrams for men, 85 milligrams during pregnancy, and 120 milligrams for breastfeeding women. Vitamin C-rich foods include fruits and vegetables, especially those that are red, orange, or yellow in color, such as oranges, red peppers, grapefruit, and strawberries. Kiwi fruit is also a good source of vitamin C.
Getting too little dietary iodine can indirectly cause shortness of breath if a goiter results. A goiter is an enlarged thyroid gland that occurs when your body isn't producing enough thyroid hormone - or is producing too much thyroid hormone. Because dietary iodine is needed to make thyroid hormone, goiters can result from iodine deficiency. According to the American Thyroid Association, enlarged goiters can result in shortness of breath and hoarseness from pressure on the neck and windpipe. People at risk for iodine deficiency include those who don't use iodized salt and pregnant women, according to the Office of Dietary Supplements. Treatment of goiters caused by iodine deficiency often include boosting dietary intake of iodine-rich foods or supplements, taking synthetic thyroid medication if needed, and having surgery in some cases. Iodine RDAs are 150 micrograms for adults, 220 micrograms during pregnancy, and 290 micrograms per day for breastfeeding women. Iodine-rich foods include milk, yogurt, iodized salt, fish, seaweed, and other seafood. Taking a few simple steps can help prevent vitamin deficiencies and related side effects like shortness of breath. Eating a nutritious, well-balanced diet, taking a multivitamin supplement, and getting blood levels checked regularly helps ensure you're getting the nutrients your body needs.